Not sure what happened but at one point there was hilarious thread from MartyE about who's from Ceti Alpha V. That may have had something to do with it. With all the snow we have since Christmas it's refreshing to remember some leaves! 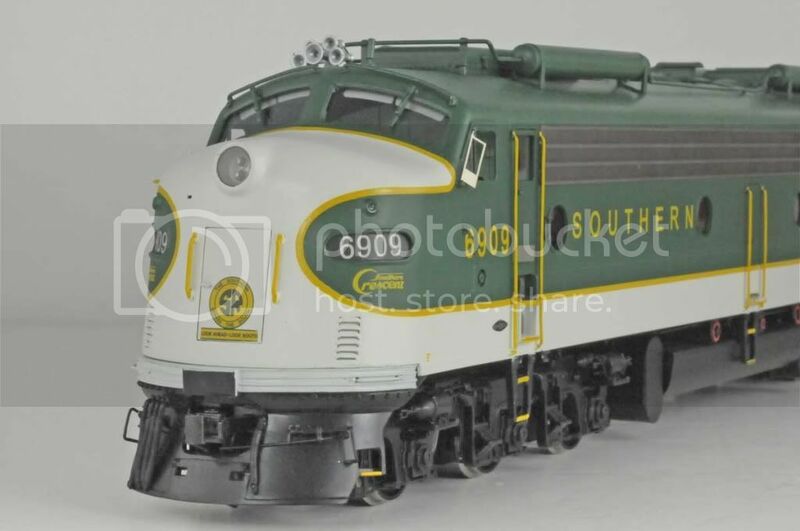 Who makes the Crescent Limited pacific in your photo? 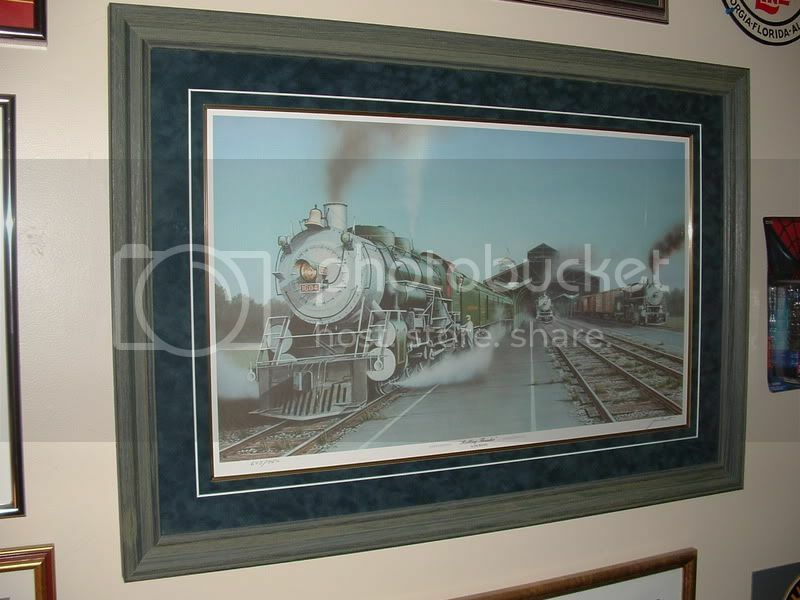 Nice photos Sam, love the Southern even though i don't own any but like to look at it. 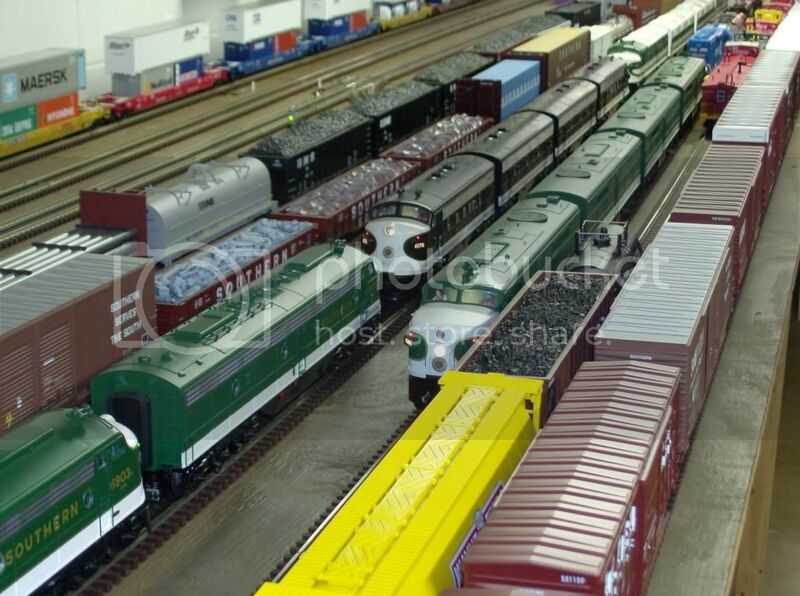 The only other RR other then my Pennsylvania on my layout is the Texas special. Just no room for other road names. Johnny, that's an interesting Hudson - have never seen that one before! 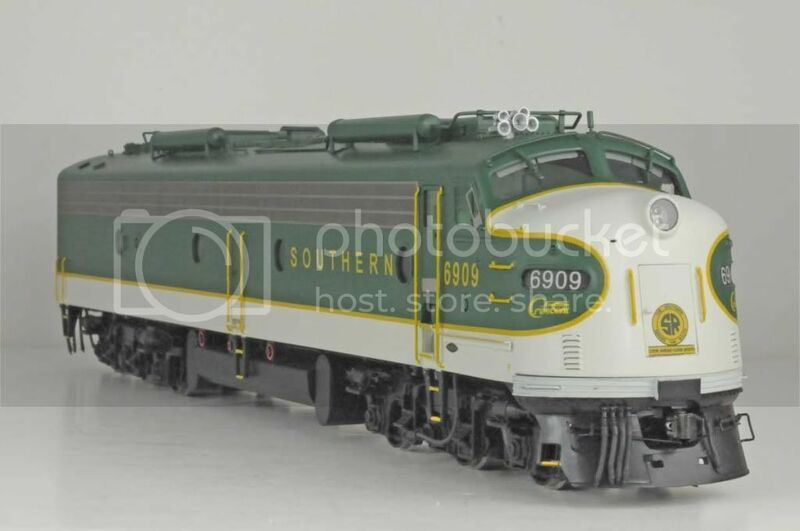 New to me Weaver SRR E-8 units. I agree. Dave and SIRT, awesome work! 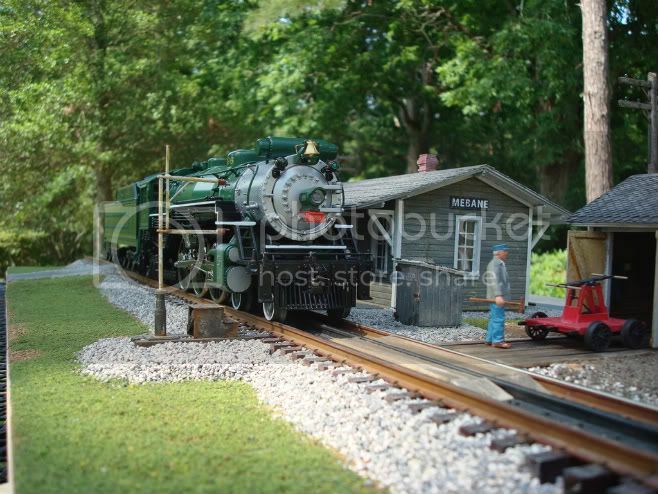 Pretty as it gets--The Crescent Limited's #1396 poised in rural Mebane[Lionel's version of the Ps-4??]. 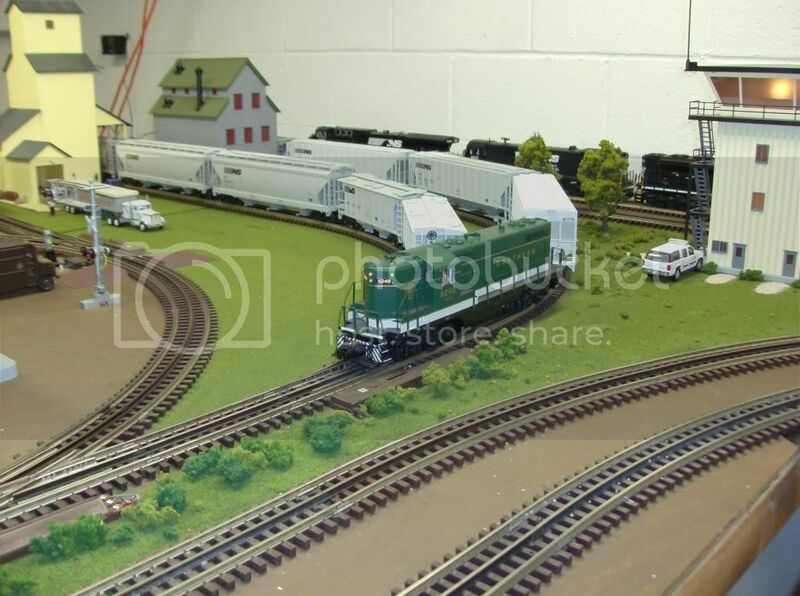 The Depot and Section Car Shed---so typical of the creative hand of Vulcan. Here are my two photos. Three of my favorite engines. 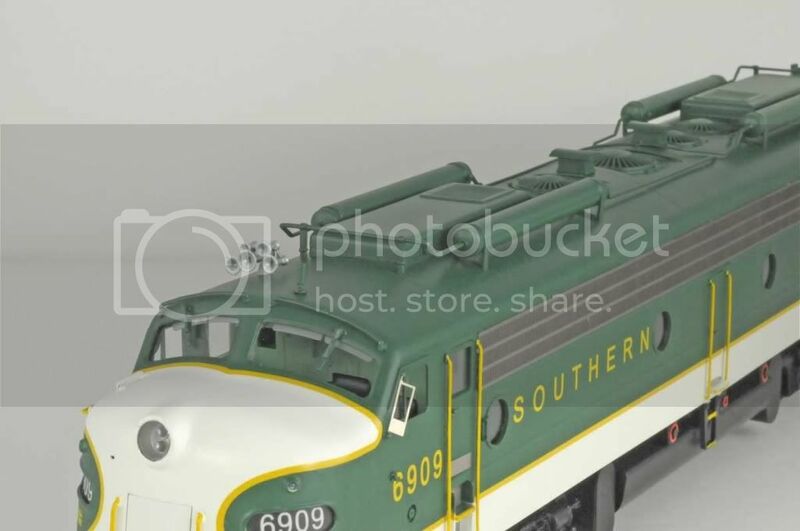 Working on a Southern RPO conversion. 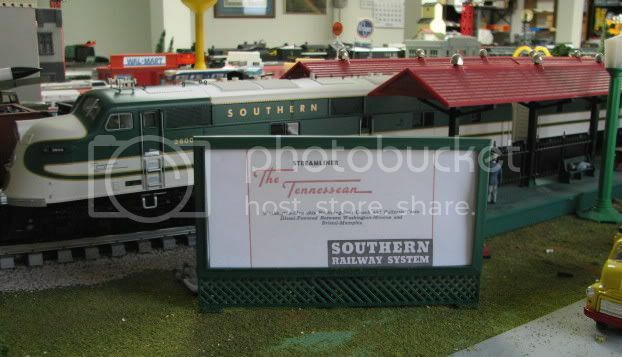 here are some more southern photos!!!! 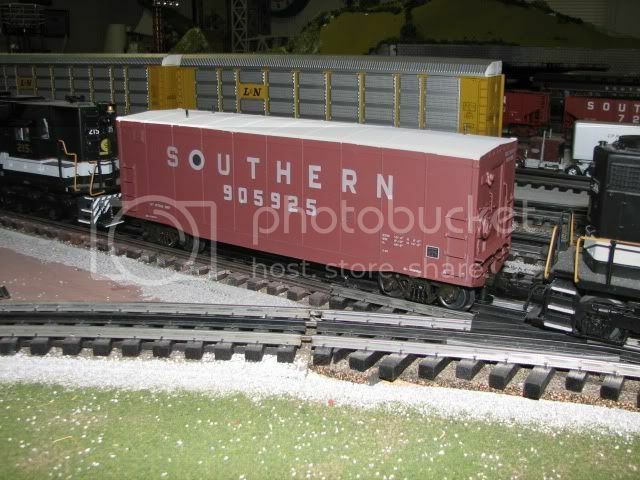 sirt, which manufacturer made your southern boxcars????................rogerw. 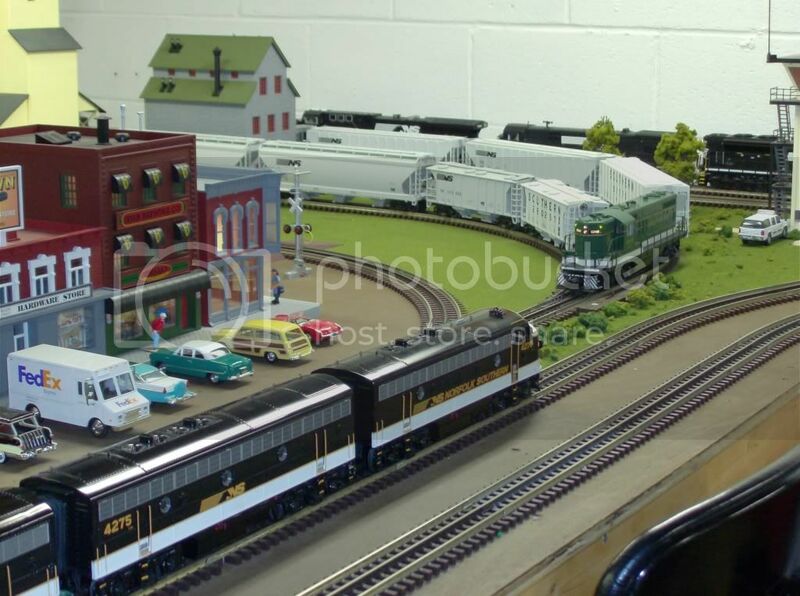 The trains are (or will be) mine the photos were just grabbed off the web at random. 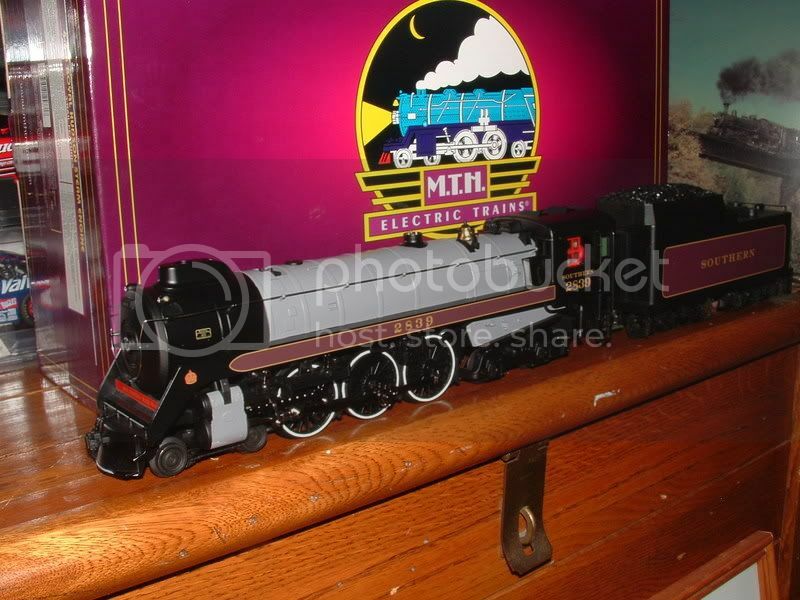 I like the black locomotives best. I do like the Ps-4 pacific in green though. lionlman! i love your southern photos!!!!!!..............rogerw. hey southern fans! check out c.sam's photo in ctt's march 2011 issue......rogerw. these are NOT my photos. look at the detail of this engine. 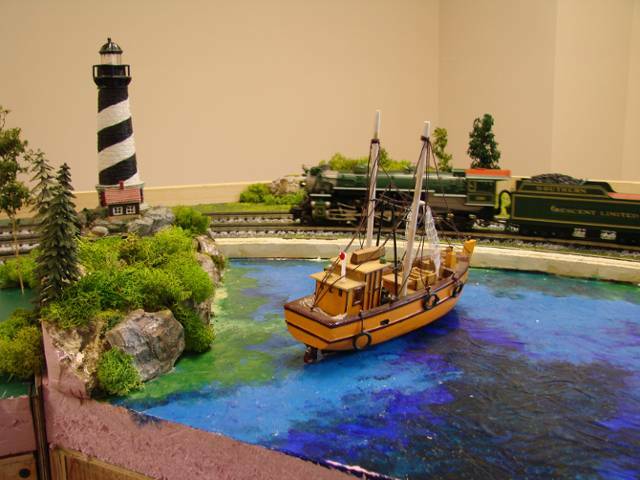 i don't think it's o scale......check them out!!! Roger I hope that how my Weavers E8's will look like after my detail project is completed. s.r. sean, when you get them done, i would like to be the first one to view them!!.............rogerw. 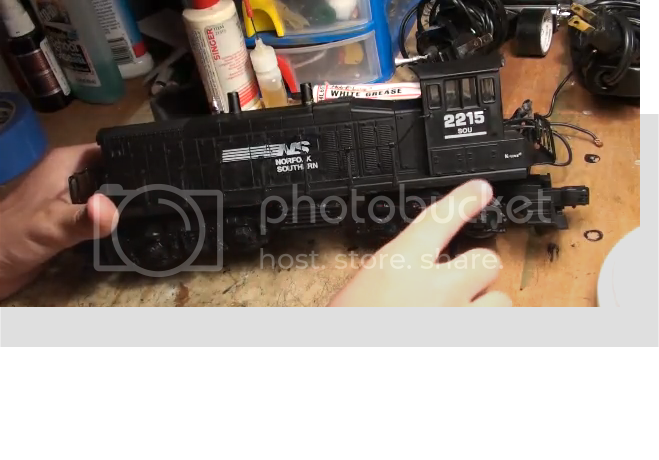 i just found out that this engine is "O" scale!!!...........rogerw. 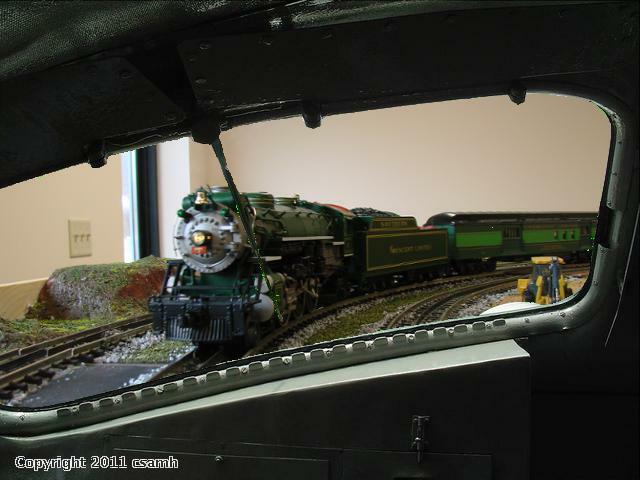 Both K-Line and Lionel painted their Southern Ps-4s with an accurate green cab roof. 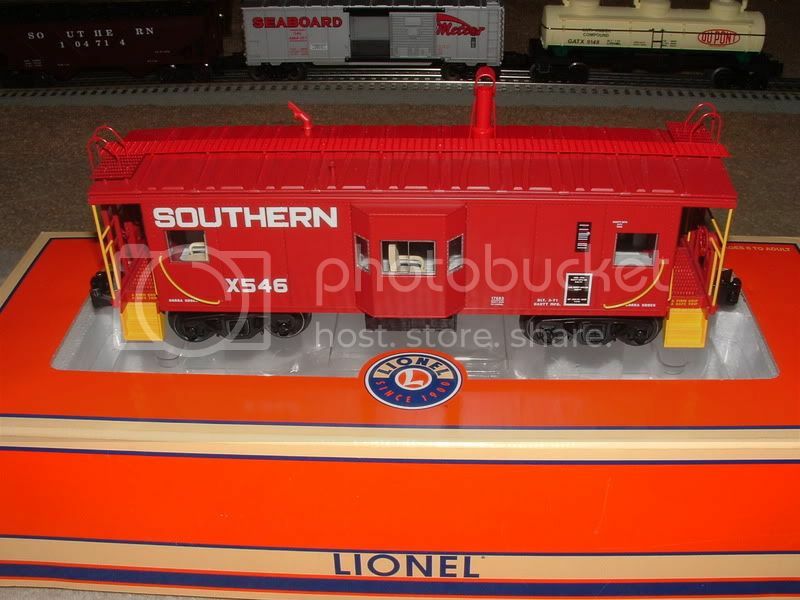 Although I guessed wrong between K or L, I knew it was not an MTH version which had incorrect red cab roofs. 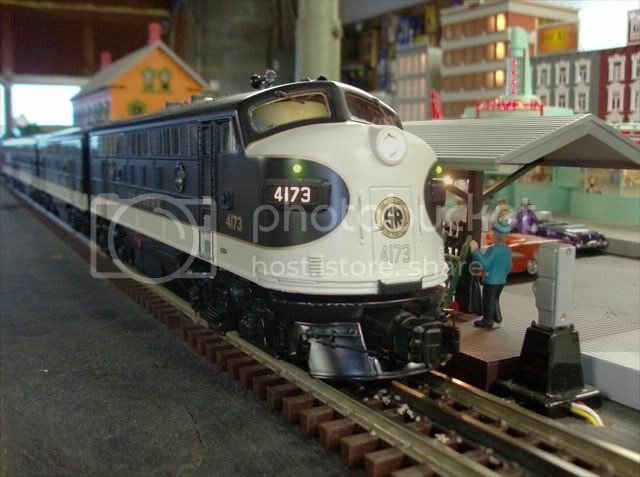 One exception is my MTH #1396 which was sent to me with a correct green cab roof as a result of some research work I did for them in the early days. I have a SRR protoype question. 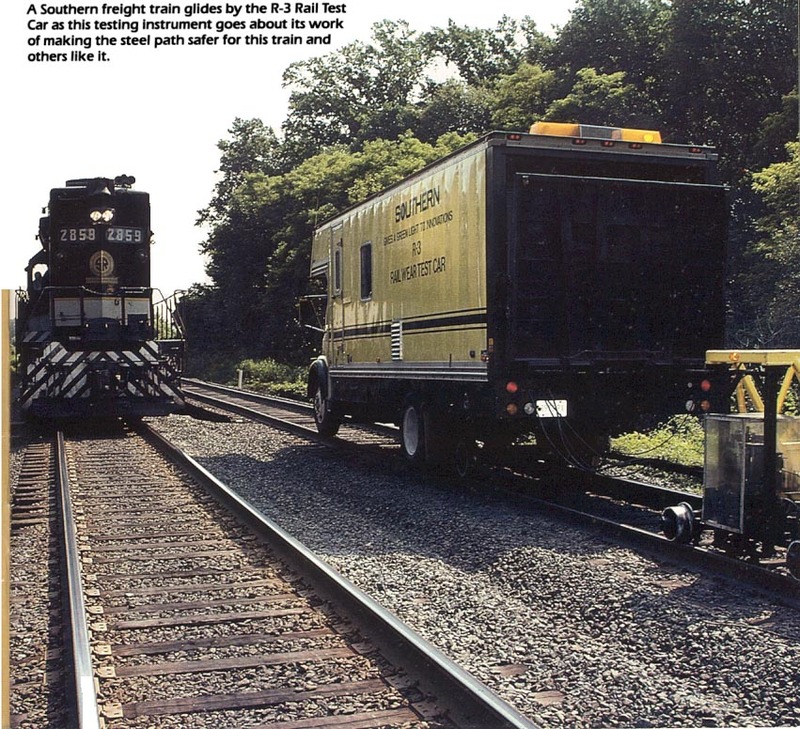 Anyone have any more photos or information about R-3 Rail Wear test Car? A shot of the train car behind it would be great. If anyone knows the make/ model /year of the truck that would be great too. 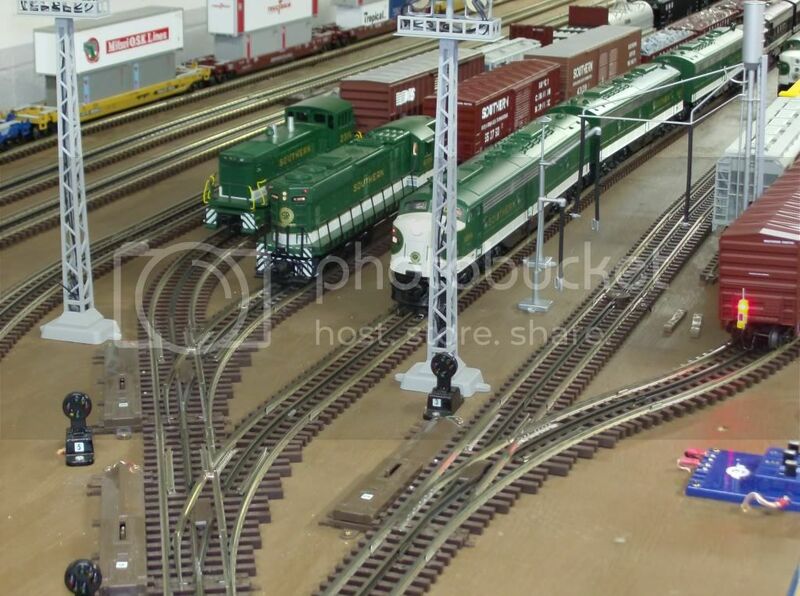 It looks to me that the truck is connected to the train car by wire but not actually coupled together. Any one know for sure? 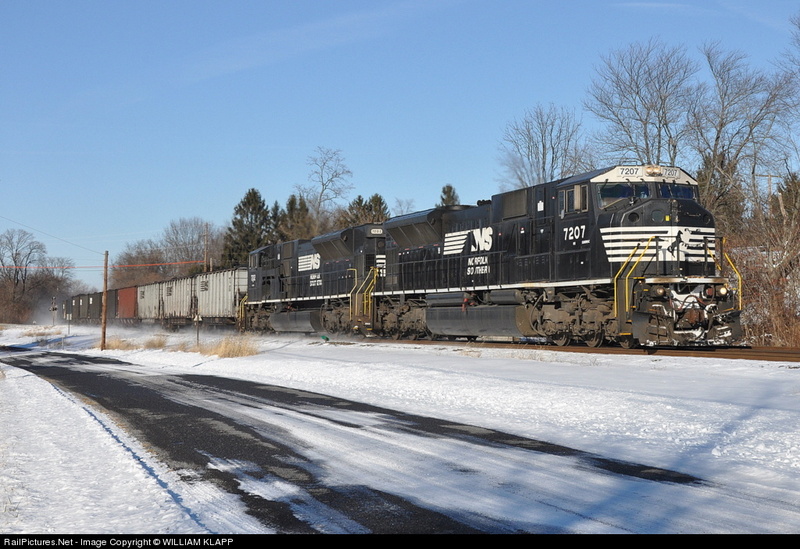 I had the NS 5035 (former Southern)on the head of 150 loads of coal this past Friday.There was a former N&W SD-40-2 6100 behind it.The 5035 almost got me standed on the mainline.It kept kicking the governor button and the low water button. Problem ended up being air built up in the low water button box.I bleed the air out and off we went. So the ole girls keep marching on making money for the NS. 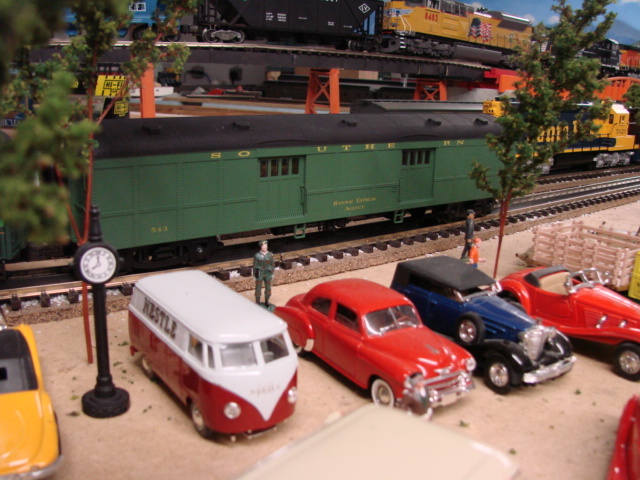 The Southern Railway R3 Rail test car truck is a mercedes benz. I know the truck a late 60's model I think it might be a D series. Thanks for all the Southern/NS photos guys. Ater looking for my files I had backuped to my portable harddrive I can now add my photo's to the thread so enjoy!! 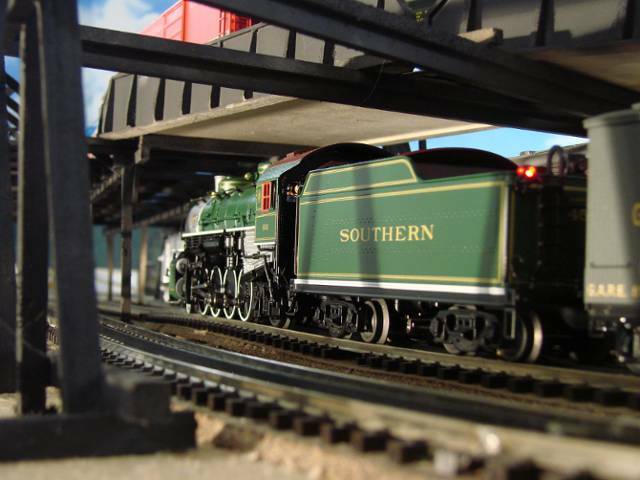 Southern Quarter Master job from Huntersville arrives in Charlotte yard with the Traveling Box car. 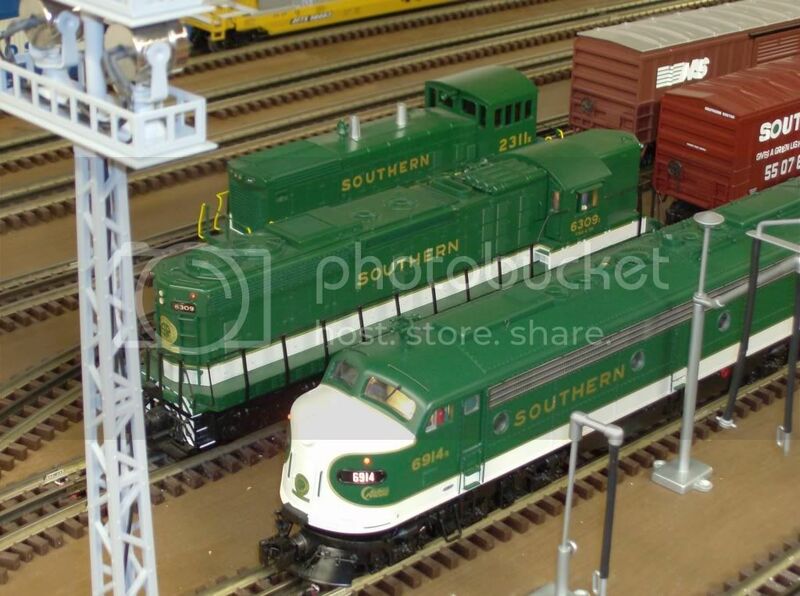 The Southern Crescent Limited and the Carolina Special wait there turn to depart Southbound from Charlotte. 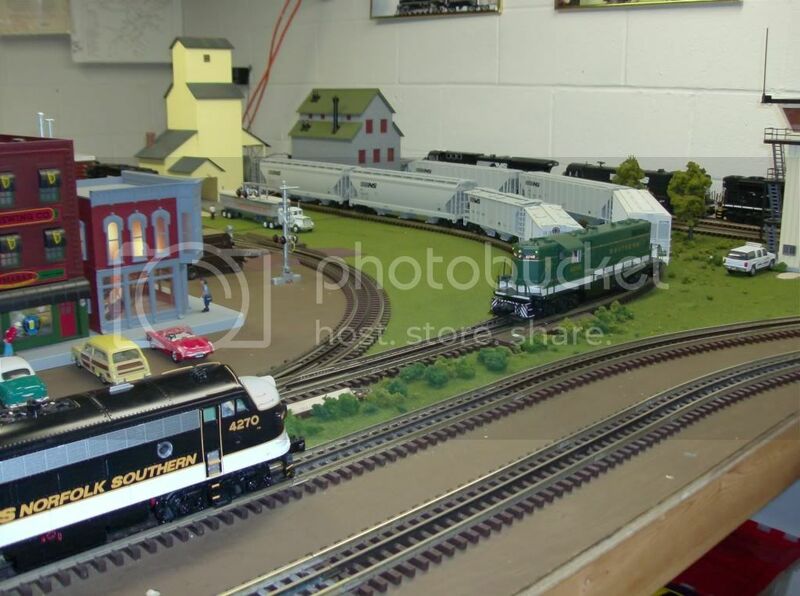 Southern Ps-4 and Ts-1 eyeball a stranger in there group as A.T.S.F. Hudson #3447 pay a visit into town. 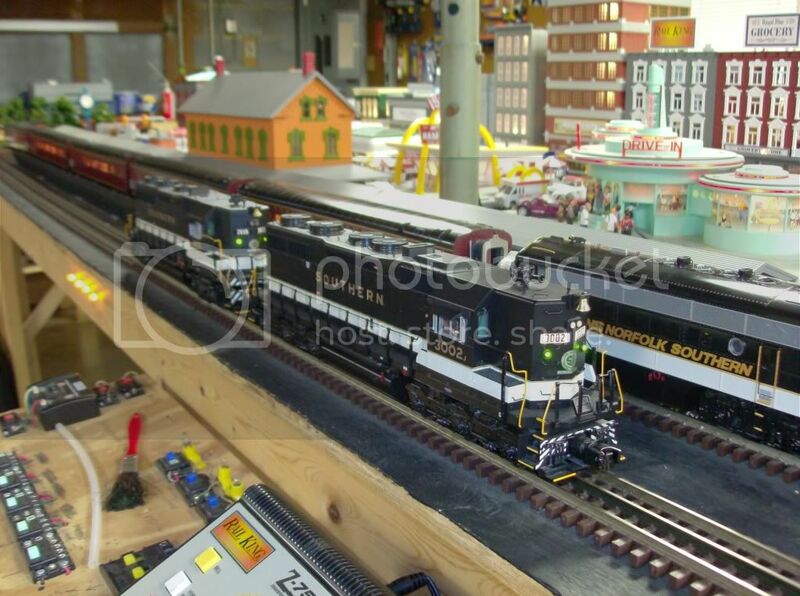 This is my Dad Santa Fe warhorse with Lionel Line Madison Cars. s.r. sean, i like it!!! great photos!!! !...............rogerw.